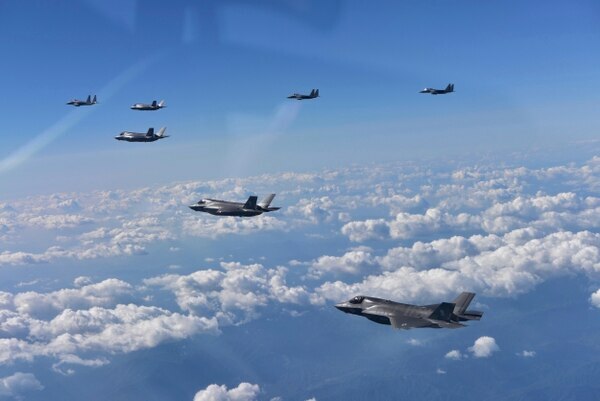 SEOUL, South Korea — Despite the celebrated rollout of the first F-35 Lightning II fighter jet for the South Korean Air Force last month, the fifth-generation stealth aircraft is not widely welcomed by the Seoul government. 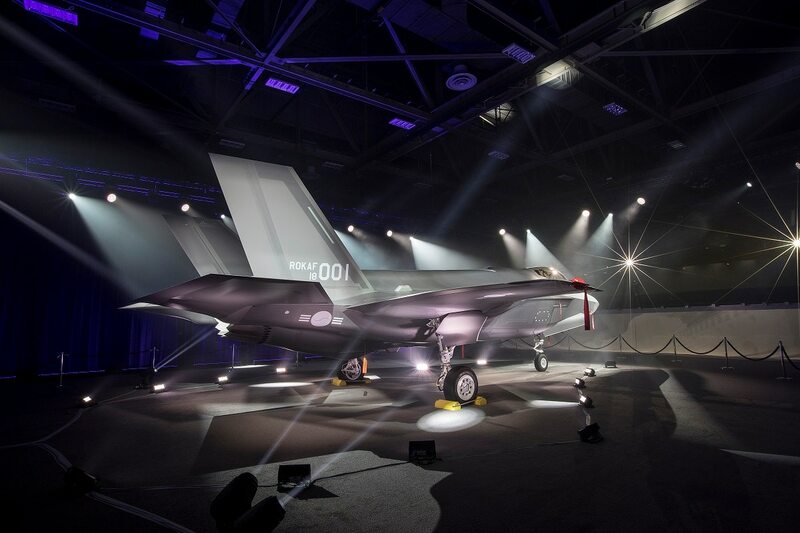 The contract of procuring 40 F-35As signed under the former Park Geun-hye administration has been under intensive investigation with regard to possible influence-peddling over the Lockheed Martin-built multirole fighter’s selection process and price lobbying. The Board of Audit and Inspection of Korea, or BAI, has widened its probe against the F-35 selection from Seoul’s 2014 F-X III competition, according to defense sources. Amid growing tensions in the region, both Japan and South Korea are reportedly investigating options to operate the Lockheed Martin F-35 Lightning II Joint Strike Fighter on board their respective ships. “The BAI inspection over the F-35 purchase was launched late last year, and the inspection has been widened since January,” Kang Hwan-seok, spokesman of the Defense Acquisition Program Administration, or DAPA, told Defense News. The spokesman declined to elaborate on the contents of the probe. According to Defense Ministry officials, the state watchdog recently summoned former defense chiefs, including Defense Minister Kim Kwan-jin and DAPA Commissioner Lee Yong-geol, to probe doubts regarding the F-35 selection process. The inspection is focused on determining why the DAPA overturned its original decision of choosing Boeing’s F-15 Silent Eagle as the preferred bidder, and why the agency quietly changed the Foreign Military Sales-based variable price contract to a fixed one. In September 2013, Boeing, which offered the stealthy F-15 Silent Eagle, was selected as the preferred bidder for the $7.4 billion F-X III contract for 60 aircraft, as rival Lockheed Martin failed to submit proposals below the budget. The Eurofighter-led Typhoon consortium was also priced out. But the decision was overturned a couple of weeks later after a group of retired Air Force generals sent a pubic letter to the presidential office, calling for a reconsideration of the purchase of the F-15 Silent Eagle, which the former Air Force leadership argued doesn’t have a clear advantage over North Korea. The Joint Chiefs of Staff later revised the F-X III operational requirements, putting a higher priority on stealth capabilities, leading to the de facto private contract for the F-35. The number of fighters to be procured was decreased from 60 to 40, in an apparent move to meet the F-35 budget proposal. The final contract was signed in March 2014. The price of acquiring the Joint Strike Fighter is also a bone of contention. Under the FMS contract with the U.S. government, South Korea was supposed to pay the unit price of F-35s on the low-rate initial production basis. Seoul initially signed the contract for the unit price of some $120 million, and the price reductions were required to be returned to the Seoul government. As of March 2018, the unit price has been reduced to $94 million, according to Lockheed Martin’s report on F-35 program status and fast facts. The DAPA, however, signed a revised agreement in 2016 with the U.S. government to fix the F-35 price tag at about $120 million. Asia Economy, a local daily, reported the DAPA decided to fix the price to provide price reductions to Lockheed Martin for helping the development of South Korea’s military satellites. “Lockheed Martin agreed to support the launch of five South Korean military satellites as part of F-35 offset deals but didn’t implement the deal properly, citing its budget restraints,” Rep. Woo Sang-ho of the ruling Democratic Party said during a parliamentary audit of government offices last October. A Lockheed Martin spokesperson pointed out that the price contract was signed between the governments of Korea and the United States. “Any price contract was made between the two governments under the FMS, so we’re not in a position to comment,” the spokesperson told Defense News. Some local experts believe the probe into the F-35 deal could have a negative impact on the Air Force’s plan of introducing 20 more F-35As.